It's my second December in Boracay. My nth time in the island (went there 3x just for this year!). But as always, its crystal clear waters and white sand never gets old. A shot using my new Action Camera which I bought in Shopee. I haven't figured out how to permanently remove the date thingie, haha! But at least it's a cute "vintage" touch to the photo. Like last year, we flew to Kalibo via AirAsia. The 45-minute flight was fuss-free and smooth. We were there in no time. AirAsia offers the lowest rates to travellers, staying true to their commitment "Now Everyone Can Fly". They can afford to offer low airfares by doing without the frills of usual full-service airlines, but still bring you great service. I know bawal, but we still took pictures heading out of the airport, going to the plane! Haha! Minsan lang kami mag byahe together, and I need more souvenirs of this moment so snap snap snap! For a December flight, the plane was pretty jam packed! People are either raring to go on a holiday break, or some just want to go home to their families (ang daming babies and kids sa plane namin!). Albeit just a short flight, I appreciate getting AirAsia premium seats (rows 1 to 5) as they provide bigger space and more legroom. Placed my bag just under the seat in front of me, and comfortably slept for the next few minutes. Hi Rodel, Ruth, Ms. Jo, Gian, and Myke! As always, I finished reading (or just browsing) the inflight magazine. AirAsia's Travel 3Sixty is loaded with photos and articles that inspired me to travel more next year! Aja! The DIY system of AirAsia makes it an affordable airline - but without compromising the service. If you want additional comfort, just add-on. Aside from the self check-in machines (lesser operational costs), the inflight meals are by-order so you can do-away with it if you're on a budget. The new AirAsia Inflight Menu includes appetizing rice meals. These include Bangus Sisig, Buffalo Chicken Strips, and Barbeque Cola Beef. For the vegetarians like me, they have the Vegetarian Chickpea Curry and Maan's Pasta Arabiata (thank you). For the short flight, they also have the usual cup noodles, chips, cookies, soda, and coffee. They have a lot of varieties for their coffee! Would love to try their meals next time, heard that you get 20% off if you order in advance! Almost daydreaming when I saw that we're already about to land already. Ang bilis! Weather was great when we arrived. 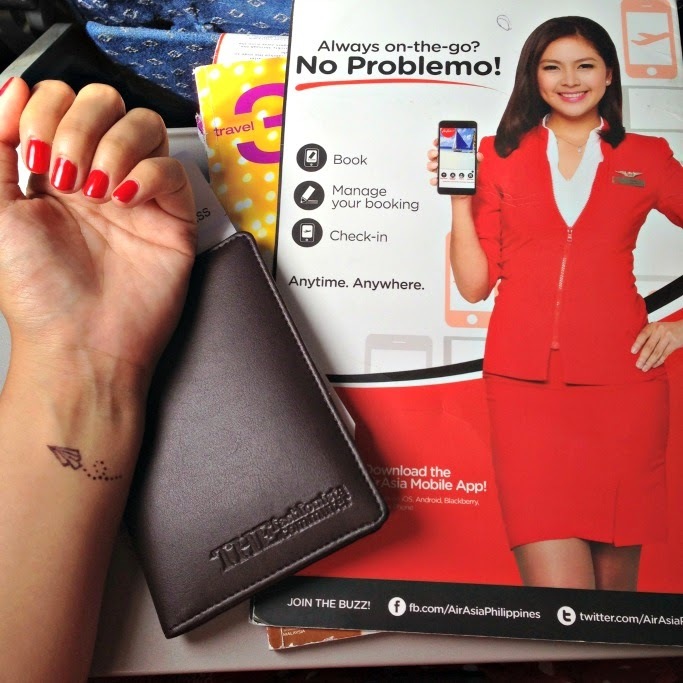 Btw, download the AirAsia app to easily book, manage your booking, and check-in online even when you're on-the-go. I always check the promos via this convenient app. I super enjoyed this trip too Ana!!! Fun times!!! Bilis talaga ni ana! Great that you enjoyed your Boracay stay. I was gonna say na bawal mag-pic dyan sa tarmac ng Kalibo Airport. You said it na pala. Lol! It was nice to meet you :) Lets #TravelMore this 2016!